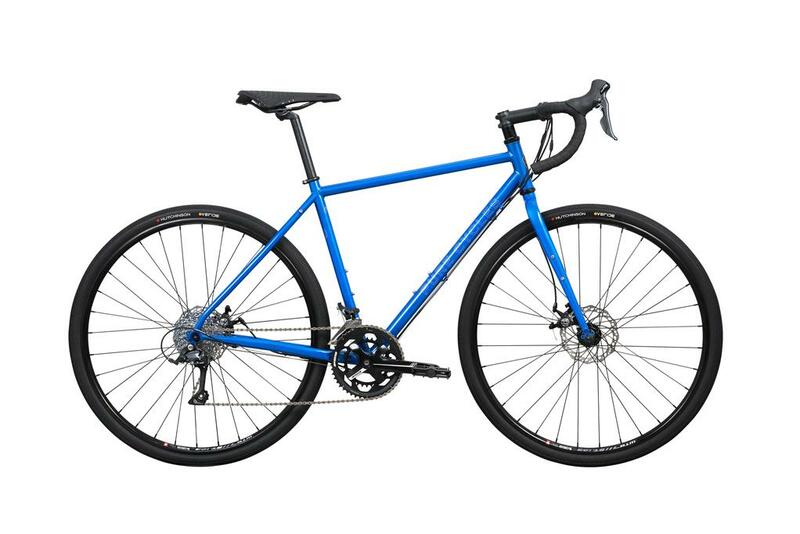 While the gravel/adventure niche has been flourishing for a while, it took 3 years for a 700c/650b swappable frame design to trickle down from the highest end to the value market. Today, Pure Cycles launched an $800.00 adventure bike. That’s a road bike with wider tires to ride off road on dirt. It’s for rails to trails routes and forest service roads. In the Pacific Northwest there are thousands of miles of trails and roads where cars aren’t allowed. Eight hundred dollars? That’s college-fixed gear pricing, but yep. And, sure, it weights 26 lbs, spec’d at the lower end of competent maker’s line, with a chromoly frame, and an 8-speed drivetrain. For comparison, “racing” gravel bikes weigh about 6 or more pounds less and run 11 speed drivetrains. If you’re not racing, riding big miles, or competing, who cares? The Pure Cycle will do great through the tunnel on the Iron Horse trail. The Pure Cycles Abbott also can run a 650b x 47. That’s what I run on my brown bike and it costs $3K just for the frameset. If you get the non-pro, the Floyd, you can save another $200.00 and put it towards a set of good wheels. Bikes like this prove once again why there’s never been a better time to be a bike enthusiast. There’s so much great product and at every price point. If you haven’t upgraded in a while, now is the time to do so. Also note how Pure Cycles offers delivery and build options.